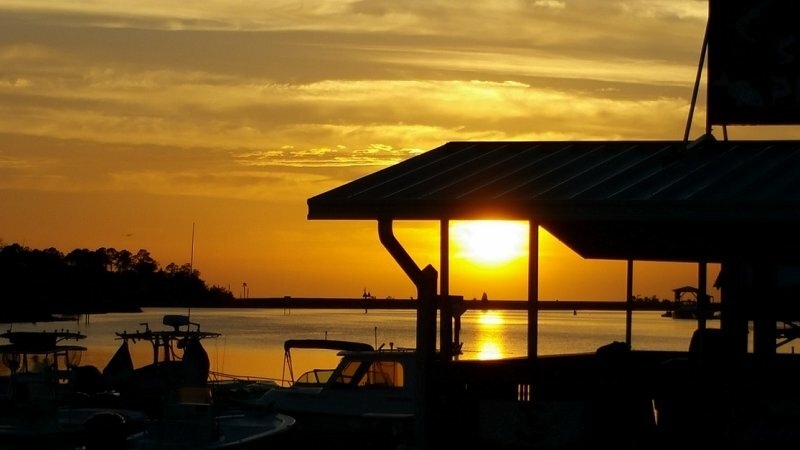 Salt and Sun Getaway is located on beautiful Brigantine Bay! Treasure Cay is located in the stunning Abaco Islands, away from the hustle and bustle of the more touristy areas of Freeport and Nassau. Sit on your oversized patio with sunrise views over the bay. 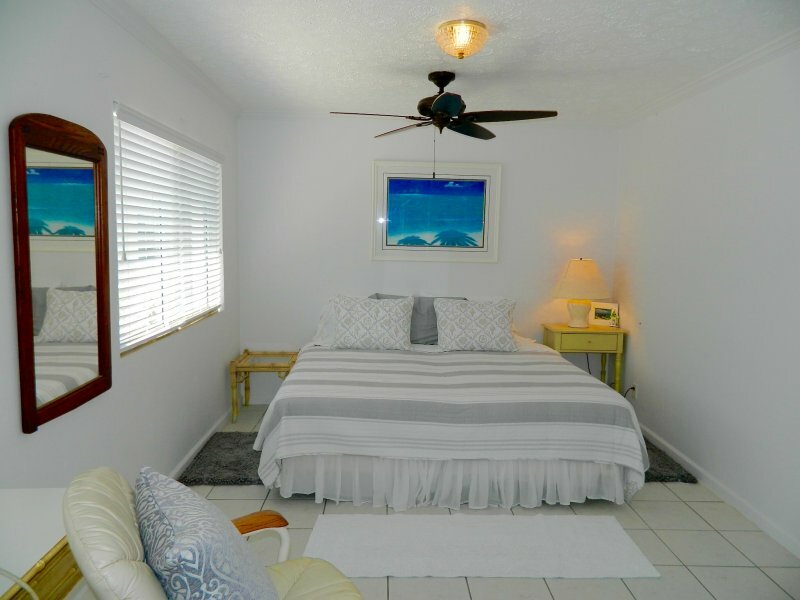 This light and bright 2 bedroom 2 bath corner end unit is tiled throughout and decorated island style and includes a Boat Slip that can accommodate up to 40' with a 14' Beam all right outside your back door! 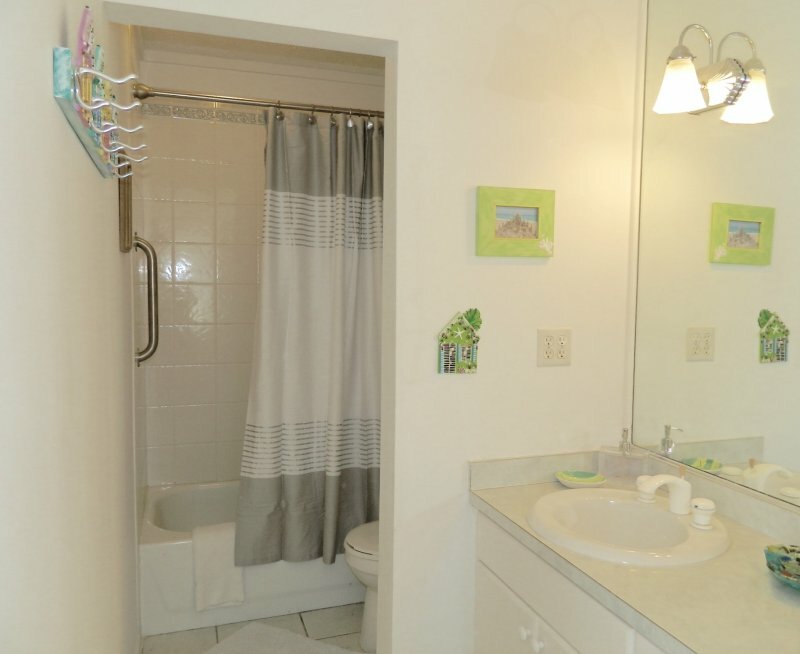 There's a community pool (heated in the winter months) and a laundry room within 10 feet from your front door. This coastal beach community with its aqua blue waters is quiet, unpretentious and centrally located on the Sea of Abaco, so island hopping is easy breezy. A boat ride to Green Turtle for lunch at Pineapples, Miss Emily's, Wreakers or Sunsets is a must. Also closely located is Noname Cay (home of the swimming pigs), Nippers on Guana Cay, Marsh Harbour, Hope Town and nearby reefs for snorkeling and diving. 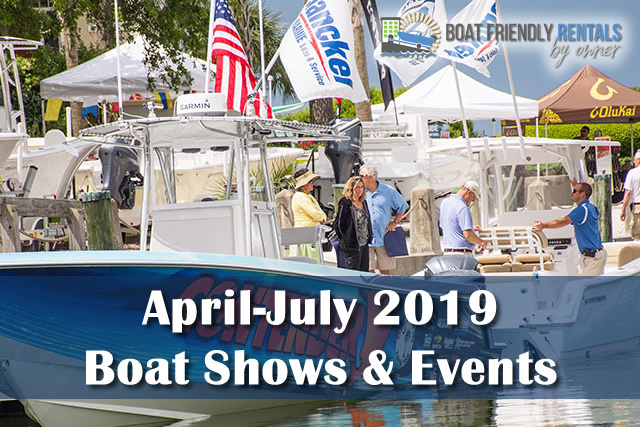 Also a 5 minute walk away is the Treasure Cay Marina and the Coco Beach Bar along with quaint island Shoppes that include Florence’s Bakery, Bike Shoppe, Boat Rental, Dive Shoppe, Golf Cart and Car Rentals. The closest airports include Treasure Cay and Marsh Harbour which are about 30-45 minute ride by taxi. 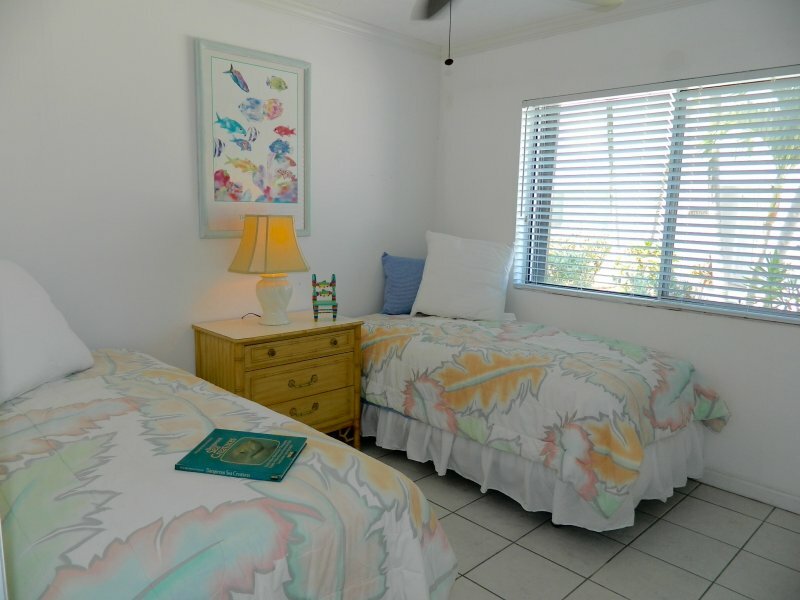 But of course, Treasure Cay Beach itself is known for its world famous, award winning 3.5 mile white powder sand beach that is just a 5 minute walk away from the condo! 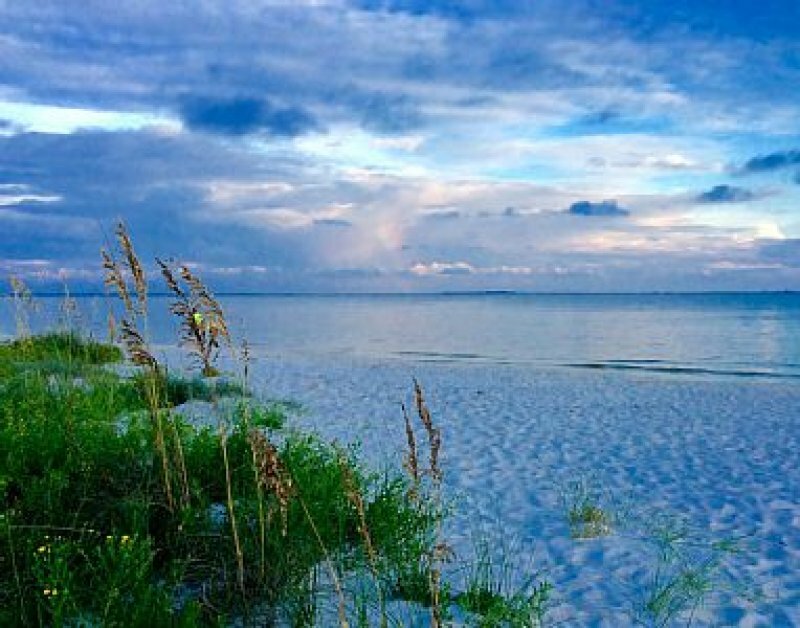 Pick your adventure: take a walk out to the sandbar and find sand dollars and shells, wade to Sunrise Cay (a tiny island off of the tip of Treasure Cay), kayak in the emerald water, or simply prop your feet up and pull out that book. The deep-sea fishing, and bone fishing is exceptional. You can frequently see turtles and rays, and dolphins, gliding in the iridescent turquoise water. The beach is a walker's paradise, the sea is very safe for children, and clear for snorkeling. And the shelling is bountiful. For golf enthusiasts, there is an 18-hole golf course located right in Treasure Cay. Salt and Sun Getaway is a perfect opportunity for a vacation getaway! 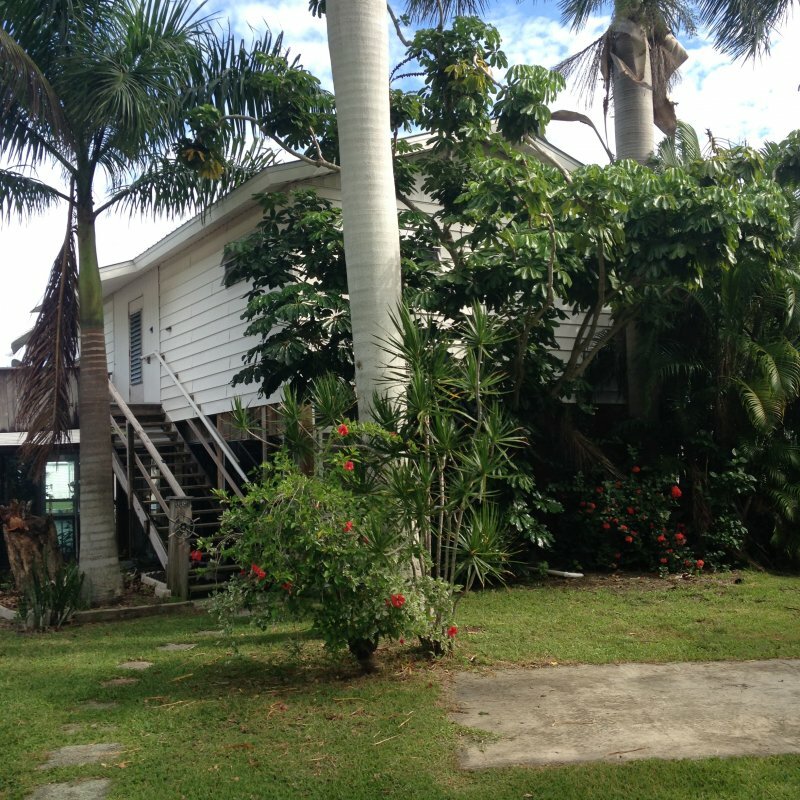 Come stay with us... My family would love to share our island home with you. 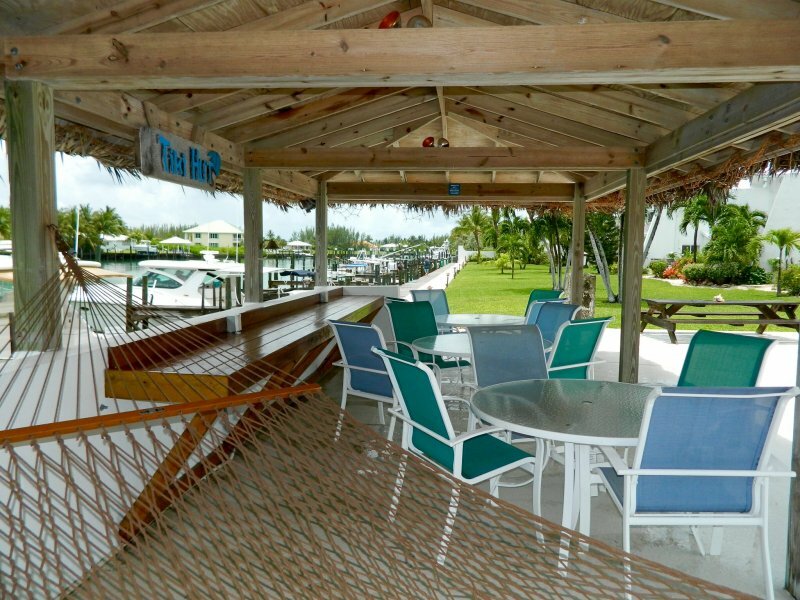 If you would like to have an authentic Bahamian vacation, we have the perfect place! 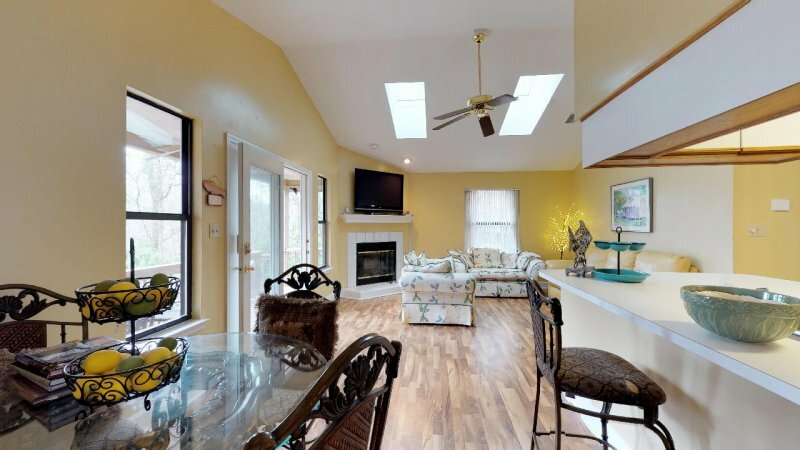 Description Salt and Sun Getaway is located on beautiful Brigantine Bay! Treasure Cay is located in the stunning Abaco Islands, away from the hustle and bustle of the more touristy areas of Freeport and Nassau. Sit on your oversized patio with sunrise views over the bay. 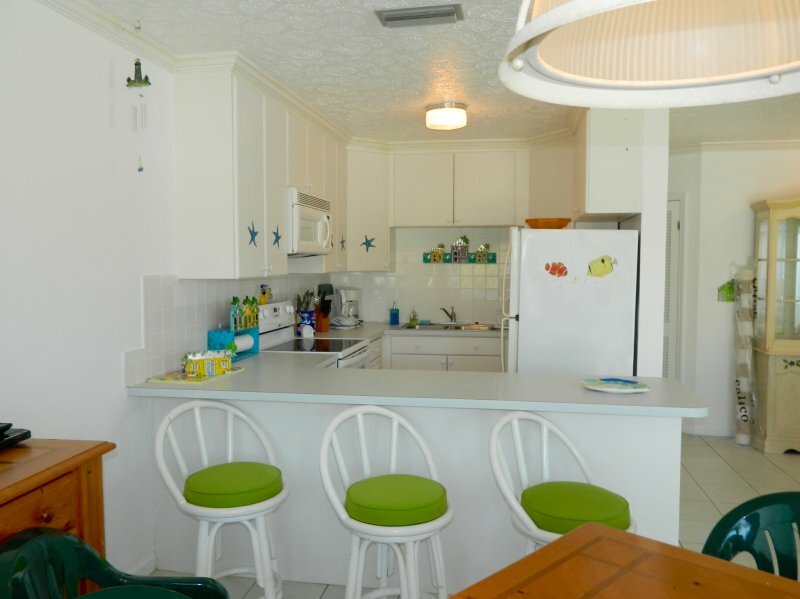 This light and bright 2 bedroom 2 bath corner end unit is tiled throughout and decorated island style and includes a Boat Slip that can accommodate up to 40' with a 14' Beam all right outside your back door! 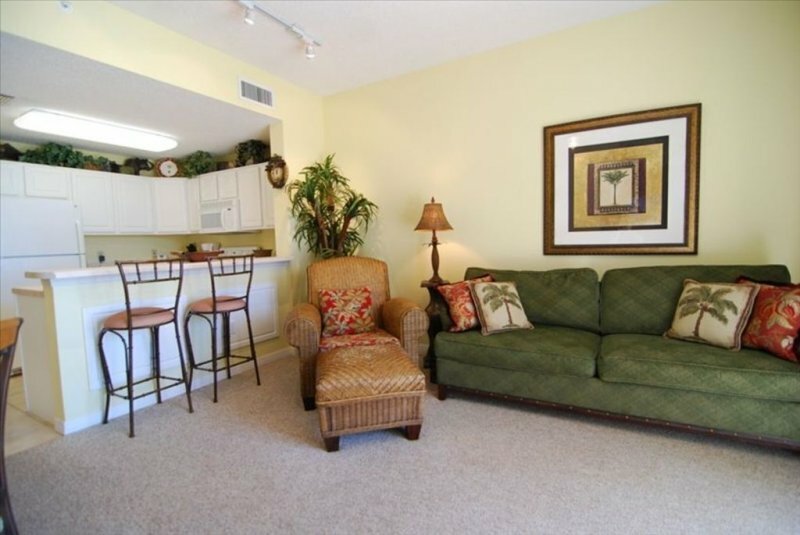 There's a community pool (heated in the winter months) and a laundry room within 10 feet from your front door. This coastal beach community with its aqua blue waters is quiet, unpretentious and centrally located on the Sea of Abaco, so island hopping is easy breezy. A boat ride to Green Turtle for lunch at Pineapples, Miss Emily's, Wreakers or Sunsets is a must. Also closely located is Noname Cay (home of the swimming pigs), Nippers on Guana Cay, Marsh Harbour, Hope Town and nearby reefs for snorkeling and diving. 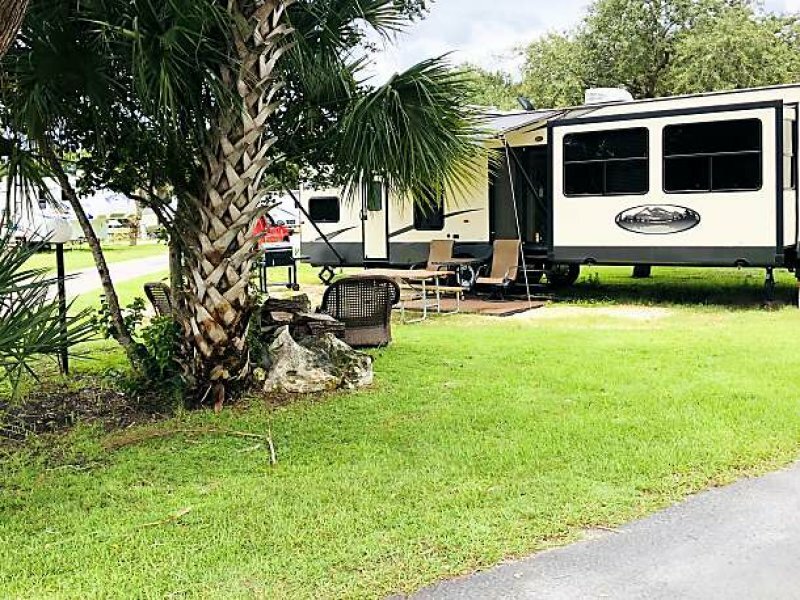 Also a 5 minute walk away is the Treasure Cay Marina and the Coco Beach Bar along with quaint island Shoppes that include Florence’s Bakery, Bike Shoppe, Boat Rental, Dive Shoppe, Golf Cart and Car Rentals. The closest airports include Treasure Cay and Marsh Harbour which are about 30-45 minute ride by taxi. 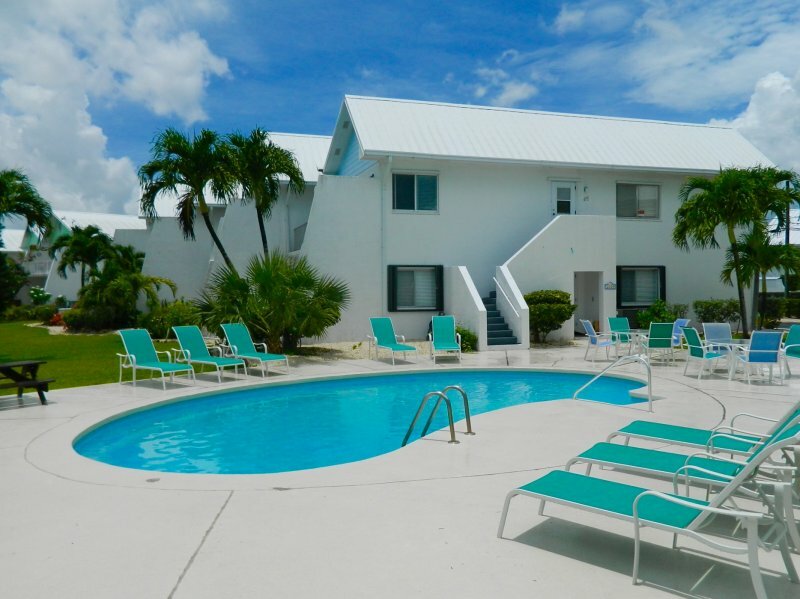 But of course, Treasure Cay Beach itself is known for its world famous, award winning 3.5 mile white powder sand beach that is just a 5 minute walk away from the condo! 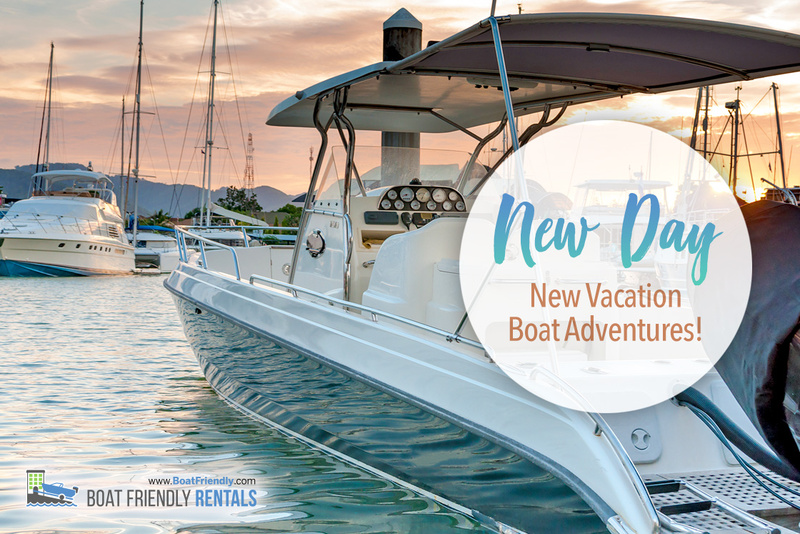 Pick your adventure: take a walk out to the sandbar and find sand dollars and shells, wade to Sunrise Cay (a tiny island off of the tip of Treasure Cay), kayak in the emerald water, or simply prop your feet up and pull out that book. The deep-sea fishing, and bone fishing is exceptional. You can frequently see turtles and rays, and dolphins, gliding in the iridescent turquoise water. The beach is a walker's paradise, the sea is very safe for children, and clear for snorkeling. And the shelling is bountiful. 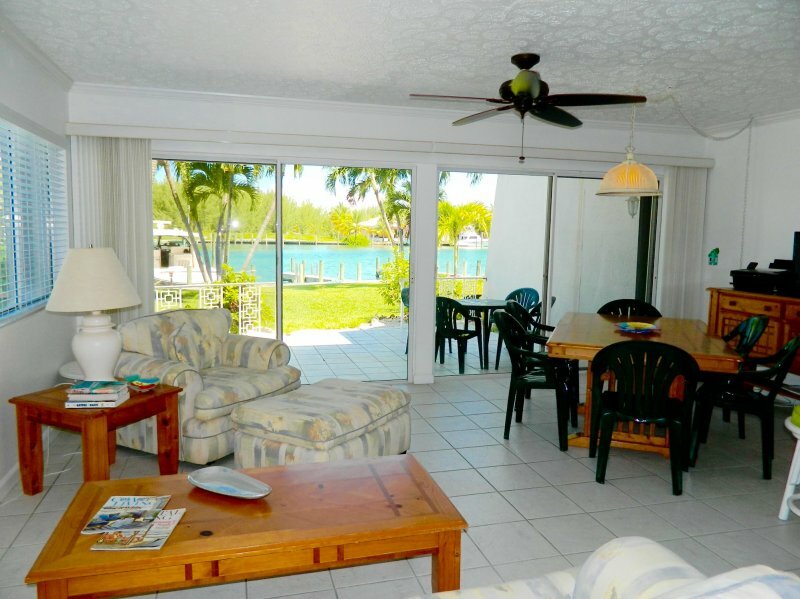 For golf enthusiasts, there is an 18-hole golf course located right in Treasure Cay. Salt and Sun Getaway is a perfect opportunity for a vacation getaway! 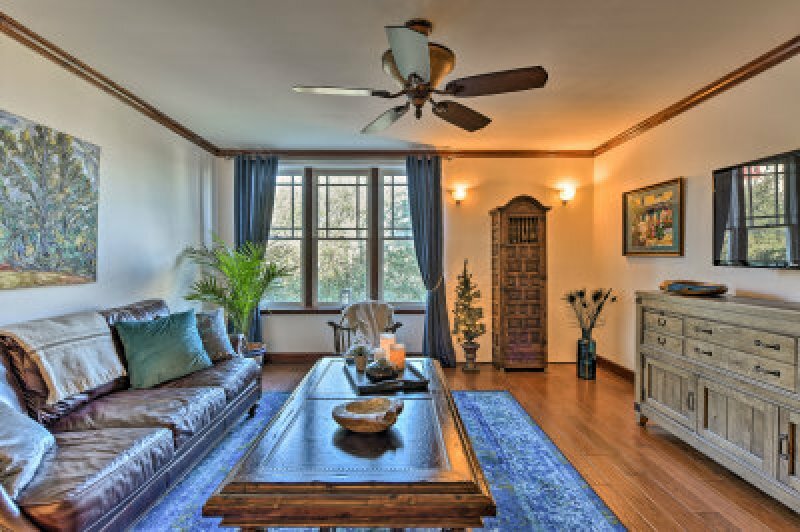 Come stay with us... My family would love to share our island home with you. 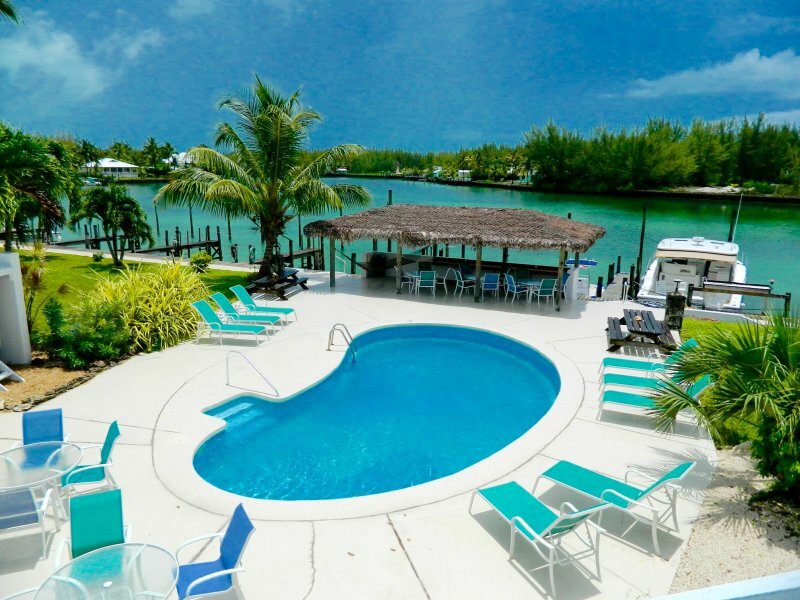 If you would like to have an authentic Bahamian vacation, we have the perfect place! 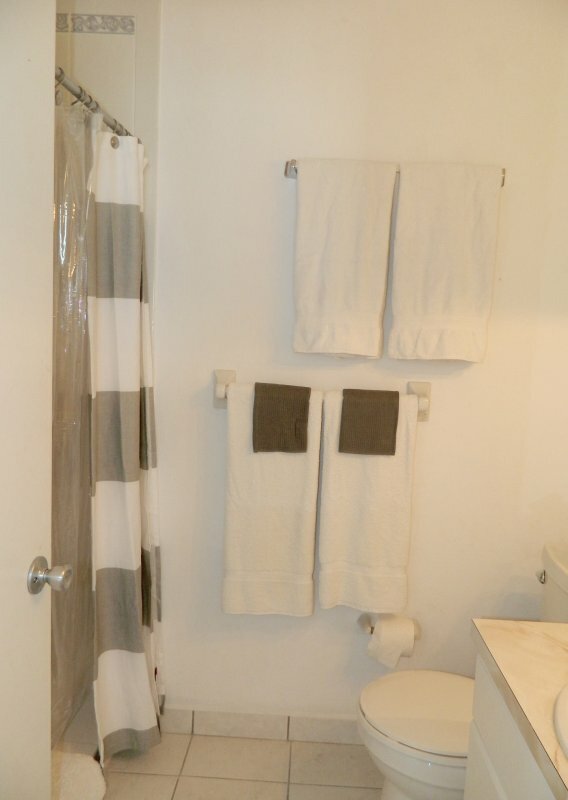 Additional Rate Information There is a cleaning fee of $80. 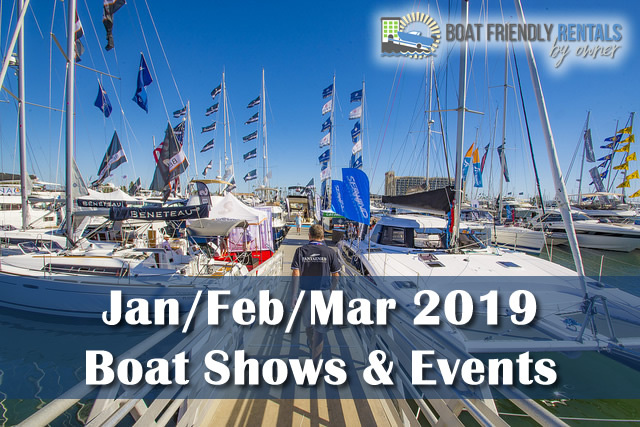 There is also a $150 fee for electric and water for the dock. There is an electrical hook up and water available for an extra charge. Our condo sits on the Brigantine Bay. Your back door is a wall of sliding glass doors that look out onto the bay.